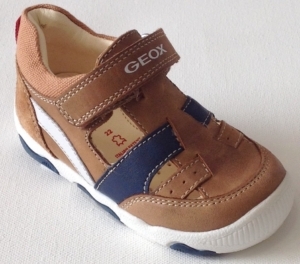 Geox is an Italian brand, sold globally, and plays a strong part in the children"s footwear market. 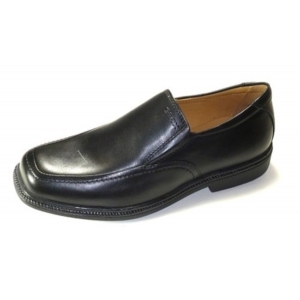 The unique selling feature is their patented sole unit with tiny holes which allows the foot to breathe and bacteria escape, without allowing water to come in through the sole. 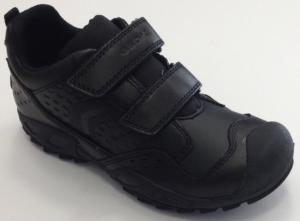 They are ideal for this little ones with "hot feet". The styling, as you would expect from an Italian brand is second to none, funky colours, great detailing and quality leathers. 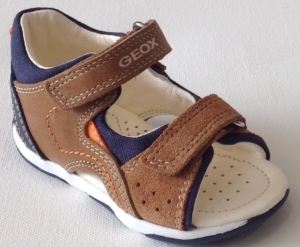 Every child should experience Geox! 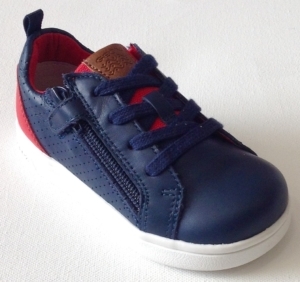 Caramel & navy t-bar with velcro strap fastening. Caramel, navy & orange leather open toe sandal. 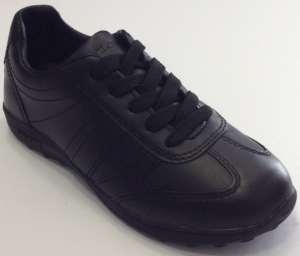 Soft black leather school shoe. 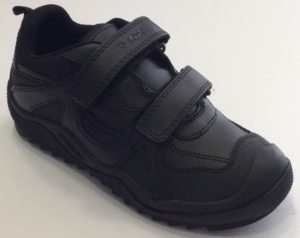 Double velcro strap fastening. Bumper toe to help prevent scuffing. 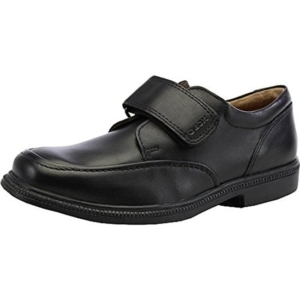 With breathable footbed and lace up fastening. Available in Lace-up (J241D1M) or Slip-on (J241D1N). 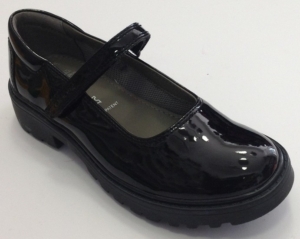 Soft black leather with contrast patent toe. Bow detail. Elasticated edging to hold the foot. 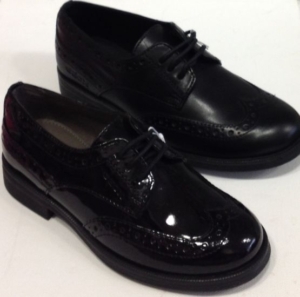 Soft leather with brogue detail. Lace fastening. 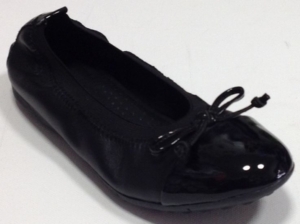 Soft black patent leather slip on shoe. Loafer style. Tassle detail. 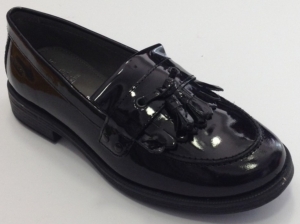 Soft black patent school shoe. Robust sole unit. Velcro strap fastening. Breathable footbed.